It’s been feast or famine for Lucas Schott and his Mike Wedelstadt Racing team this year in the USMTS Hunt for the Casey’s Cup powered by Summit. It was a beans ‘n’ rice kind of night on Thursday at the Rapid Speedway when Schott started on the outside of the front row in the main event but dropped out before completing a single lap. But the 22-year-old from Chatfield, Minn., was nibbling on filet mignon Friday night after a decisive wire-to-wire victory at the Fayette County Speedway in West Union, Iowa. Schott came up one spot short in last year’s “War in West Union presented by KAR Auto Group” when he finished second to Ryan Gustin, but after drawing the pole position Friday night he went unchallenged in taking home the $3,000 top prize plus another $450 in bonus cash from Rancho Milagro. His up-and-down season has been on full display during the month of August. Two Saturday’s ago, mechanical failure dropped him from the lead and out of the race at the Salina Highbanks Speedway but he rebounded in the next main event last Saturday with a win at the Park Jefferson Speedway. On Thursday night, a hole in the fuel line sidelined Schott before he ever got up to speed, but he bounced back again Friday with his fifth USMTS triumph of the 2018 campaign and ninth overall in his short career. The one area Schott has been consistently good, however, is at the redraw. In his last four draws he has wound up on the front row three of those times. He came from fourth to win at Park Jeff last Saturday. While Schott enjoyed a comfortable lead throughout Friday night’s 40-lapper, good battles were happening in his rear view mirror (if they had mirrors, that is). Zack VanderBeek joined Schott on the front row for the start of the Casey’s General Stores “A” Main and followed in second for three laps before Terry Phillips got around him. Phillips controlled second place for the next 23 laps but couldn’t hold back the advances of Rodney Sanders, who wound up with the runner-up paycheck for the second straight night. The titanic twins from the Land of Enchantment—Stormy and Johnny Scott—came from eighth and twelfth, respectively, to garner third- and fourth-place finishes while Phillips held on for his fourth straight top-five effort. Jake O'Neil, VanderBeek, Dereck Ramirez, R.C. Whitwell and Josh Angst completed the top ten. With his fourth-place finish, Johnny Scott simplified his path to a USMTS national championship. He needs only to buy a pit pass and sign the release waiver at the next three USMTS Hunt for the Casey’s Cup points races to secure his first title in the series’ 20th anniversary season. SATURDAY – On Saturday, it's another colossal clash at the high-banked Deer Creek Speedway in Spring Valley, Minn., for the 13th Annual USMTS Labor Day Duel. The USMTS will share the spotlight with the Iron Man Challenge featuring Holley USRA Stock Cars and Out-Pace USRA B-Mods plus Wissota Street Stocks. Race fans can pick up coupons good for $2 off adult admission at Casey’s General Stores locations in Austin, Blooming Prairie, Dodge Center, Hayfield, Mantorville, Oronoco, Preston, Rochester, Spring Valley and Stewartville plus the Cresco, Lime Springs, Osage, Riceville and St. Ansgar locations in Iowa. To find the location nearest you, visit www.caseys.com. Corey Crapser and his No. 07 Snickers-sponsored USMTS Modified will be at the Casey’s General Store located at 735 N. Broadway Ave. in Spring Valley to meet ‘n’ greet fans from 11:30 a.m. to 1 p.m. Showing finishing position, starting position in parentheses, car number, driver, hometown, chassis/engine builder, laps completed and money won. All drivers advanced to the Casey’s General Stores “A” Main with the top 8 redrawing for the first 8 starting spots. 4. (1) 23 Adam Kates, Tonganoxie, Kan.
6. (3) 99 Josh Angst, Winona, Minn.
7. (5) 18 Mick Glenn, Minnesota City, Minn.
2. (3) 49jr Jake Timm, Minnesota City, Minn.
3. (4) 2s Stormy Scott, Las Cruces, N.M.
4. (2) 1st Johnny Scott, Cameron, Mo. DNS – 23b Brett Bumgardner (R), Hawkeye, Iowa. 1. (4) 75 Terry Phillips, Springfield, Mo. 5. (1) 8c Chris Clark, Jackson, Wyo. 6. (5) 00 Owen Grube (R), Cambridge, Minn.
1. (1) 69 Lucas Schott, Chatfield, Minn., MBCustoms/Hill, 40, $3450. 2. (5) 20 Rodney Sanders, Happy, Texas, MBCustoms/Hatfield, 40, $2025. 3. (8) 2s Stormy Scott, Las Cruces, N.M., VanderBuilt/Mullins, 40, $1500. 4. (12) 1st Johnny Scott, Cameron, Mo., VanderBuilt/Durham, 40, $1290. 5. (3) 75 Terry Phillips, Springfield, Mo., GRT/Durham, 40, $1085. 6. (4) 0 Jake O'Neil (R), Tucson, Ariz., LG2/Cornett, 40, $980. 7. (2) 33z Zack VanderBeek, New Sharon, Iowa, VanderBuilt/Stoen, 40, $875. 8. (6) 4r Dereck Ramirez, Woodward, Okla., Hughes/Cornett, 40, $825. 9. (13) 96t R.C. Whitwell, Tucson, Ariz., Longhorn/Mullins, 40, $425. 10. (16) 99 Josh Angst, Winona, Minn., MBCustoms/Stoen, 39, $400. 11. (9) 42 Paul Niznik, Medford, Wis., Rocket/Niznik, 39, $375. 12. (14) 23b Brett Bumgardner (R), Hawkeye, Iowa, SSR/Midnight, 39, $350. 13. (10) 5d Devon Havlik, Iowa Falls, Iowa, Sidebiter/Jono’s, 39, $250. 14. (18) 18 Mick Glenn, Minnesota City, Minn., Skyrocket/JRM, 38, $225. 15. (17) 00 Owen Grube (R), Cambridge, Minn., SSR/KSE, 37, $275. 16. (15) 8c Chris Clark, Jackson, Wyo., GRT/ChevPerf, 37, $275. 17. (7) 49jr Jake Timm, Minnesota City, Minn., MBCustoms/Stoen, 32, $275. 18. (11) 23 Adam Kates, Tonganoxie, Kan., LG2/Speedway, 21, $650. DNS – 07 Cory Crapser, Chippewa Falls, Wis., MBCustoms/Troy’s, 0, $275. Total Laps Led: Schott 40. Margin of Victory: 1.942 seconds. Time of Race: 12 minutes, 37.329 seconds (no cautions). Eibach Spring Forward Award: Sanders (advanced 6 positions). FK Rod Ends Hard Charger: J. Scott (started 12th, finished 4th). 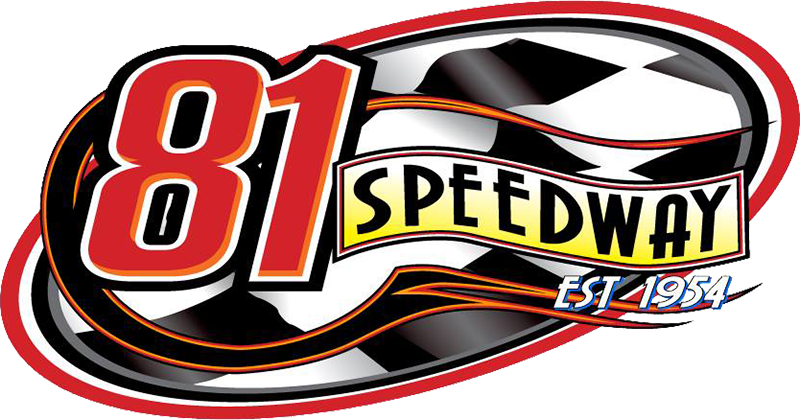 Next Race: Saturday, Sept. 1, Deer Creek Speedway, Spring Valley, Minn.
USMTS Hunt for the Casey’s Cup Points: J. Scott 3112, S. Scott 2906, Sanders 2879, VanderBeek 2779, O'Neil 2757, Ramirez 2745, Phillips 2740, Schott 2675, Kates 2083, Joe Duvall 1875. USMTS Engine Builder of the Year Points: Durham 297, Mullins 248, Cornett 242, Hatfield 234, Hill 205. USMTS Manufacturers Championship Points: VanderBuilt 350, MBCustoms 329, GRT 253, Hughes 253, LG2 235. Beyea Custom Headers – Timm. Casey’s General Stores – Bumgardner. Forty9 Designs – Glenn, J. Scott. Jerovetz Motorsports Racing Parts – Grube. KSE Racing Products – Whitwell. Mesilla Valley Transportation – Whitwell. Out-Pace Racing Products – Clark. Simpson Performance Products – VanderBeek. Swift Springs – Schott, Havlik. Wehrs Machine & Racing Products – .